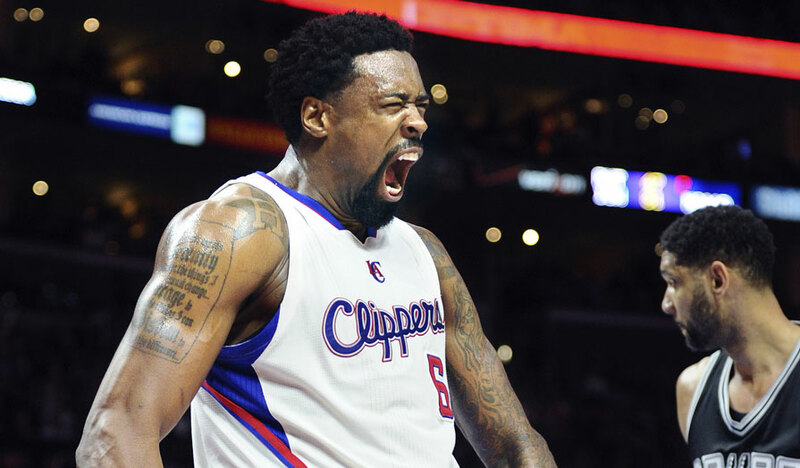 Free agent center DeAndre Jordan is poised to sign a four-year, $80 million contract with the Dallas Mavericks, according to reports. Jordan is one of the most sought after NBA free agents this offseason after playing his entire career with the Los Angeles Clippers since being drafted in 2008. Several sources have confirmed that Jordan will sign with the Mavericks, although due to NBA free agency rules, the deal won’t become official until July 9. Jordan becomes the second free agent to land in Dallas since the start of free agency July 1. On Thursday, the Mavericks agreed to terms with Wesley Matthews, although financial terms couldn’t be finalized until Dallas knew whether or not they’d be able to sign Jordan. The Clippers attempted to get Jordan to return by selling him on the team’s championship potential after the acquisitions of Paul Pierce and Lance Stephenson, in addition to all-stars Chris Paul and Blake Griffin. However, by moving to Dallas, Jordan can be a bigger focal point of the Mavericks. Jordan was also enamored that Maverick’s star Dirk Nowitzki left his vacation to meet with him. By signing with Dallas instead of re-signing with the Clippers, Jordan is deciding to take less money. Until recently, the Clippers were confident that Jordan would return to the team that drafted him, as Los Angeles head coach Doc Rivers has been a huge influence in Jordan’s career and making him the player he is today, which is one of the best rebounders and defensive players in the NBA. Jordan averaged 11.5 points per game this past season, shooting a league-high 71% from the field. He also led the NBA in rebounding, averaging 15 per game, in addition to being named to the NBA All-Defensive Team. The loss of Jordan is a big blow to the Clippers, who may struggle to replace the rebounding and interior defensive presence he provided. Meanwhile, with the addition of both Jordan and Matthews, the Mavericks immediately become one of the top contenders in the NBA’s Western Conference in the eyes of many.